Some people were born to greatness. Some achieve greatness. And, some have greatness thrust upon them. When it comes to your kids, do not let them fear that greatness. Because, it is not that they fear they are inadequate. No, they fear that they are powerful beyond measure. And, they are afraid of the darkness they can make with that power. But, there are examples of people with great power, who never turned to darkness. Padme Amidala of Naboo, is one such person. She became queen at 14. Yes, she made a mistake when she nominated Senator Palpatine for Chancellor. But, then she spent the rest of her life trying to make the Galaxy a better place. She fought to bring peace to the Galaxy through the Senate. Show your daughter there is nothing to be afraid of, not even herself. 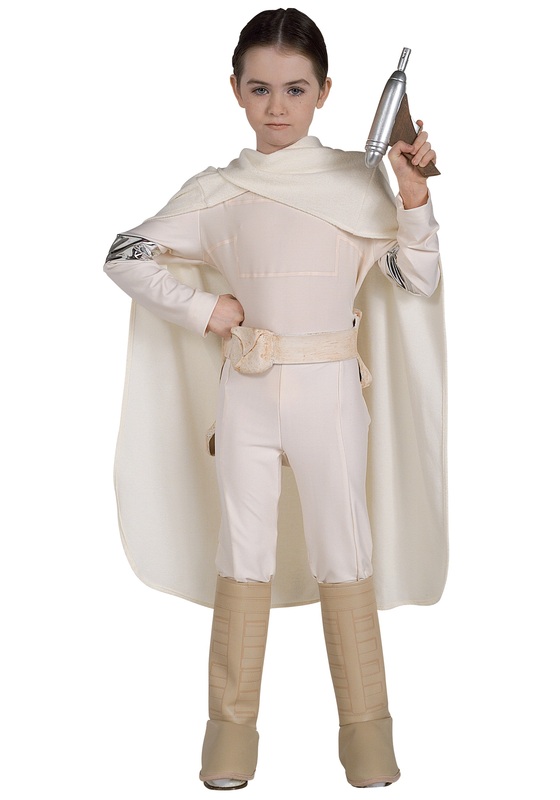 Give her this Kids Deluxe Padme Costume, and watch her take the greatness that she has earned, and turn it into something beautiful. Something good. Watch as she tries to fix the world. Making mistakes, but then learning from them. Watch as she learns to accept her greatness, not fear it. As she grows into an amazing woman. Just like Padme did. Just like all children do.